Description : An evening leather bag with a single compartment. 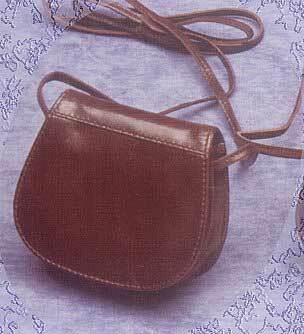 It has a long shoulder strap. The bag is shut with the help of a magnetic fastener.